Want to get away from it all in a luxury hotel that combines quality and convenience with excellent accommodation and unrivalled facilities? Principal Hayley Hotels offers a chance to enjoy amazing business or leisure breaks in top locations around Europe. So whether you’re looking for a cosmopolitan city break or a chance to recharge your batteries, Principal Hayley Hotels vouchers will save you money when you book. Founded in 2006, Principal Hayley Hotels is a collection of landmark city centre hotels and dedicated conference and business centres across the UK and Europe. Starting life as a small group of just six hotels, the company grew in popularity over the years to be a key player on the hospitality scene, with 23 properties under their belt and a total of some 4,000 bedrooms, over 500 meeting rooms and the capacity to hold a staggering 26,000 delegates ever day. Based in Harrogate, Yorkshire, Principal Hayley Hotels believe strongly in their core values of consistency, quality and sensational service across all of their properties. They value their customers above all else, and constantly strive to provide new and better experiences for them whether they’re visiting for business or leisure. Because Principal Hayley Hotels are located in some of the top travel and business destinations throughout the UK and Europe, you can find one to suit your requirements wherever you need to go. From iconic city centre hotels close to all the main attractions and transport links to relaxing hideaways located in beautiful, peaceful grounds, there really is something for everyone. Planning a romantic weekend away? Let Principal Hayley Hotels help you plan a special experience to remember, whether you’re visiting a romantic UK city or travelling further afield. Or perhaps you’re organising a conference or planning a business meeting? Corporate facilities are where Principal Hayley Hotels really excel, with an experienced team dedicated to helping everything run smoothly and a choice of venues and rooms to suit every budget. Their rooms are perfect for weddings too, from intimate affairs for close family and friends to big banquets for hundreds of guests. Add to these excellent facilities plenty of top amenities such as health and leisure suits, bars, gourmet restaurants, and it’s no wonder that Principal Hayley Hotels is one of the nation’s favourite chains. Want to book your next escape with Principal Hayley Hotels? With Principal Hayley Hotels offers you can enjoy fantastic savings on a wide range of holidays and short breaks. So whether you fancy a shopping trip to London or a business trip to Europe, Principal Hayley Hotels vouchers will help you save the pennies. Fantastic business, conference and wedding facilities. Browse our website until you find the Principal Hayley Hotels offers that suit you, then navigate to their website to begin searching. Enter your desired holiday details and click ‘Book now’. Choose a room and click ‘Select room’. Choose any extras and click ‘Next’. Enter your Principal Hayley Hotels offers where applicable. Want to find out more about holidays with Principal Hayley Hotels? Why not pay a visit to their dedicated YouTube channel here? You’ll find lots of exclusive content including event previews, video tours, travel guides and more. You can also use this channel to find out more about saving money with Principal Hayley Hotels vouchers. If you've enjoyed shopping with Principal Hayley Hotels, you might also like to check out more great deals on accommodation around the world at stores like Booking.com and lastminute.com. Or, if those aren’t up your street, you’ll find plenty more deals to browse in our Travel section. Enter your payment details and click ‘Confirm booking’. Need to contact the team at Principal Hayley Hotels? Whether you have a question about your booking, want some expert advice on arranging a conference or event or simply want to find out more about how you could make fantastic savings with Principal Hayley Hotels vouchers, you can contact the Customer Services department by telephoning 0844 854 2910. Want to discover more from Principal Hayley Hotels? Why not follow the company across your favourite social media networks and enjoy access to lots of interesting content including special offers, updates from individual hotels, competitions and more. Don’t forget to check them regularly, as you can never be sure when free Principal Hayley Hotels offers might be waiting for you! Buy now online at www.principal-hayley.com. I wanted to book somewhere special for a night away with my husband to celebrate our anniversary, but everything was so expensive. Then I discovered some Principal Hayley Hotels vouchers online. Principal Hayley Hotels offers a wide choice of beautiful properties in top urban locations around the UK. 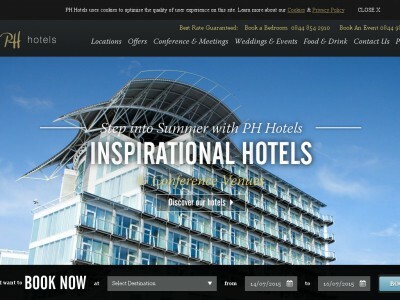 I visited principal-hayley.com and used my Principal Hayley Hotels vouchers to get a fantastic deal on a night for two complete with dinner in a lovely central London hotel. So why not get away from it all for less thanks to Principal Hayley Hotels offers?